We might have started the wrong Ðapp. Oopsie. In our previous article we introduced BOLOS : a platform to innovate around the edges of Personal Security Devices, making sure that your private data stays protected when using embedded third party applications. 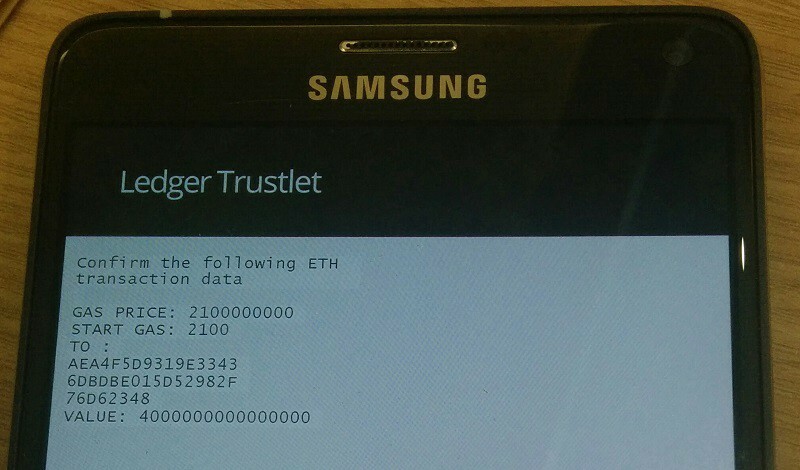 We’ll have a look today at an interesting example from the point of view of an Hardware Wallet designer : how to enhance the security of a significantly different blockchain, Ethereum. This is of course in no way an investment advice — just a nice use case which is complex enough to make it hard to implement on a legacy Hardware Wallet, yet simple enough to use it as a BOLOS API training. Also we’re still large Ethereum newbies, so expect gross oversimplifications and a few mistakes. The cryptographic and protocol parts should make sense though. On the easy side, Ethereum user accounts (Externally Owned Accounts) rely on transactions that are more simple than Bitcoin transactions (as the system maintains a state and balance, no inputs are involved) and use the same secp256k1 ECDSA signature scheme than Bitcoin. However the hash algorithm and transaction encoding used are slightly different. Ethereum also handles contract accounts which are managed directly by code and therefore out of scope of Hardware Wallet security as the state of the network guarantees that their execution is consistent. The hash algorithm used is the pre-release version of SHA-3, Keccak-256 — this can be a bit confusing for newcomers as SHA-3 is released now, and it is quite important to use the right version of the algorithm as it is also used to generate Ethereum addresses, which have no checksum. It is fairly easy to add if your compiler supports 64 bits arithmetic for your platform. Information about the resources offered to the network to process the transaction, set by the transaction itself (startgas) and how it is billed by miners (gasprice). Those can be useful to verify by the user to make sure that you are not overpaying for your service. A value and destination address. Those should definitely be validated. Additional arbitrary data, which can also be important to validate when sending the transaction to a contract. Our sample code doesn’t use it, but it is typically something that can be added and matched specifically for each contract with BOLOS, providing an additional layer of security and convenience to the end user. We implemented that validation logic as a simple BOLOS application that let the user verify what is signed on the Trusted UI. The key used to identify an account is a Keccak-256 hash of an uncompressed secp256k1 public key. Wallets can use an arbitrary Hierarchical Deterministic derivation scheme to support several accounts (for example Jaxx supports SLIP 44 with Coin Type 60). As the standard keys encoding doesn’t include a checksum, wallets can also support the ICAP format, derived from the banking IBAN format, which adds one. 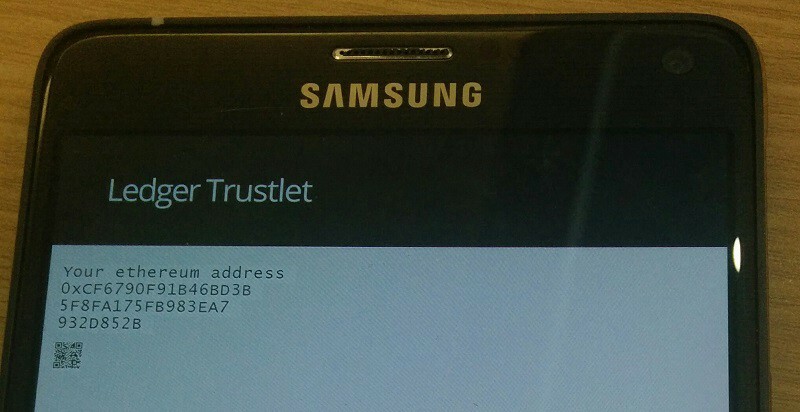 Use a handset with a Trustonic TEE, preferably a Samsung supporting the Trusted UI feature (or you’ll have to modify a bit the samples) — those include all Galaxy S6 variants, all Note 5 variants, Exynos based Note 4 and Exynos based Galaxy S7. Clone and compile moxiebox Moxie cross compiler toolchain. A Docker image is also available. Clone and compile BOLOS TEE tools and Moxie BOLOS runtime from our github. Generate a secp256k1 keypair (preferably on an offline computer) that you’ll use to sign BOLOS application that can be run on the TEE. 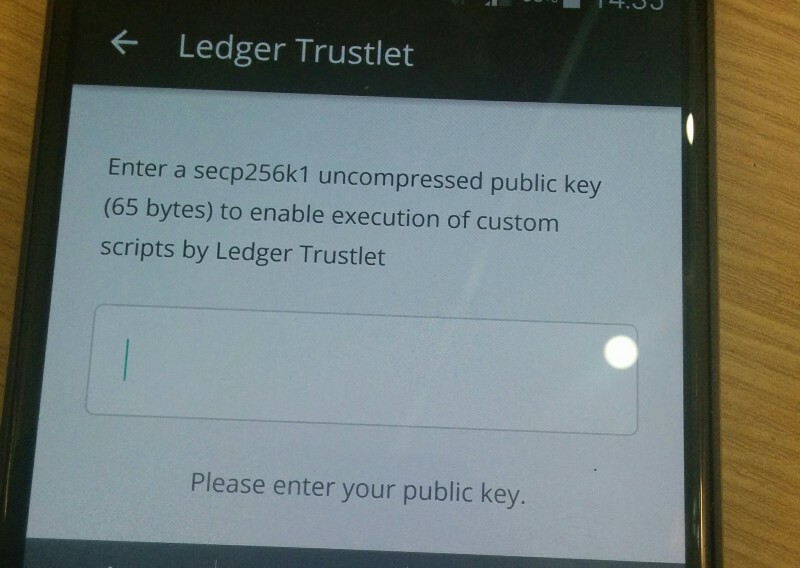 Clone and compile Ledger Wallet Proxy from our github. This application let you interact easily with the TEE application from your computer — it is a convenient way to develop and debug your TEE logic before using it in a phone application, or if you want to use it as a cheap HSM or dedicated validation hardware. If you are interested in a finalized version of Ethereum support, we will add TEE support to Jaxx shortly.